How do you develop a resilient 20-minute neighbourhood in an undeveloped greenfield site? Beveridge North West is a greenfield site in the north-western periphery of Melbourne’s northern growth corridor in the Shire of Mitchell. The site is located approximately 40 kilometres north of Melbourne’s Central Business, comprising 1260 hectares of land located west of the Hume Freeway; north of Camerons Lane, east of Old Sydney Road and south of Wallan. The site is surrounded by natural beauty and established townships including Wallan which is located approximately 3 kilometres north, and the Mandalay Estate which is located immediately to the south. It is anticipated that Beveridge North West will accommodate 14,000-15,000 new households, including 25,000 residents. Beveridge North West is currently in the precinct structure planning phase. Stakeholders are working closely to identify ways to involve communities in the shaping of Beveridge North West, and build a resilient, self-sustaining community. The vision is to deliver infrastructure as early as possible; accelerate community development and establish housing projects that support liveability and affordability. Over the next three years, Resilient Melbourne will be working in partnership with Mitchell Shire Council, DELWP, the VPA, Yarra Valley Water, RMIT University and private and not-for-profit service providers to improve precinct planning and delivery in Beveridge North West. We will work to engage future residents early in the planning and development of the precinct with a view to creating a community that is viable, sustainable, livable, and prosperous. Resilient Melbourne will also engage academic experts to test and evaluate community engagement and resilience building methods in Beveridge North West and showcase success stories within our networks. It is envisaged that the Resilient Communities project at Beveridge North West will uncover new learnings and insights about how to plan for resilience in the early stages of planning metropolitan greenfield sites. 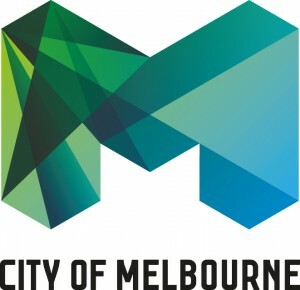 Resilient Melbourne in partnership with Mitchell Shire Council, RMIT University and with support from the Department of Environment, Land, Water and Planning (DELWP) is leading the Living Locally Research Project as part of a commitment to enhancing local liveability and resilience in Beveridge North West. This project supports implementation of the Resilient Communities Projects, DELWP’s 20-Minute Neighbourhood Pilot Program, and Mitchell Shire Council’s commitment to creating a sustainable, thriving community in Beveridge North West. Academics from RMIT will deliver a literature review about planning 20-minute neighbourhoods in greenfield sites, and; a report about making Beveridge North West as walkable as possible. It is envisaged that a literature review and walkability report will be delivered by August 2019.. The research undertaken in this project will inform the approach to encouraging a 20-minute neighbourhood and building community cohesion at Beveridge North West. It will also contribute to new knowledge and improved practice in creating 20-minute resilient neighbourhoods in greenfield areas. 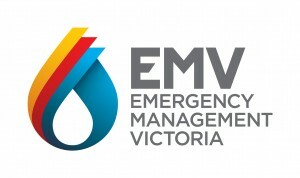 Resilient Melbourne is working with partners including Mitchell Shire Council, Yarra Valley Water, the Victorian Planning Authority (VPA), RMIT University and others to support a strong, resilient community in Beveridge North West.